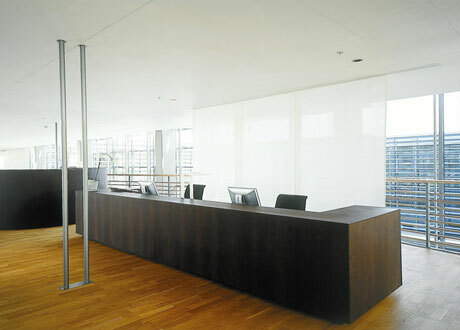 Panel Glides offer a contemporary streamline solution to window dressing. 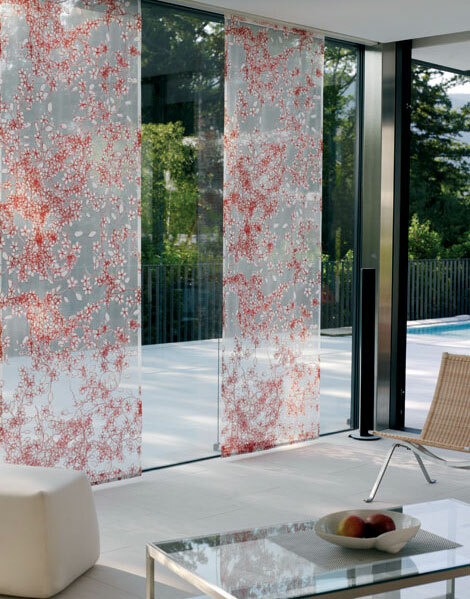 They are perfectly suited for sliding or bi-folding doors and large expanses of glazing. They can also be used as room dividers. 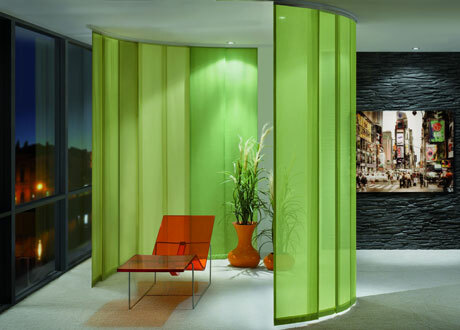 Tracks can be up to 5 meters in length with panel sizes and quantities customised to achieve the look you desire. 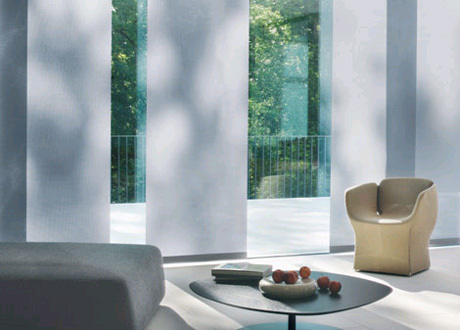 As the panels overlap each other they provide a great control of light especially suited for bedrooms. The panels are attached to their track carriers by Velcro allowing you to easily remove them for cleaning or just to update them to suit your changing décor. Variations include the 2600 Folding Panel Glide designed to reduce the stacking area of the panels and the 2730 Flex Panel Glide with its curved track profile ideal for curved windows or just to enable you to park your panels off the main glazing section.